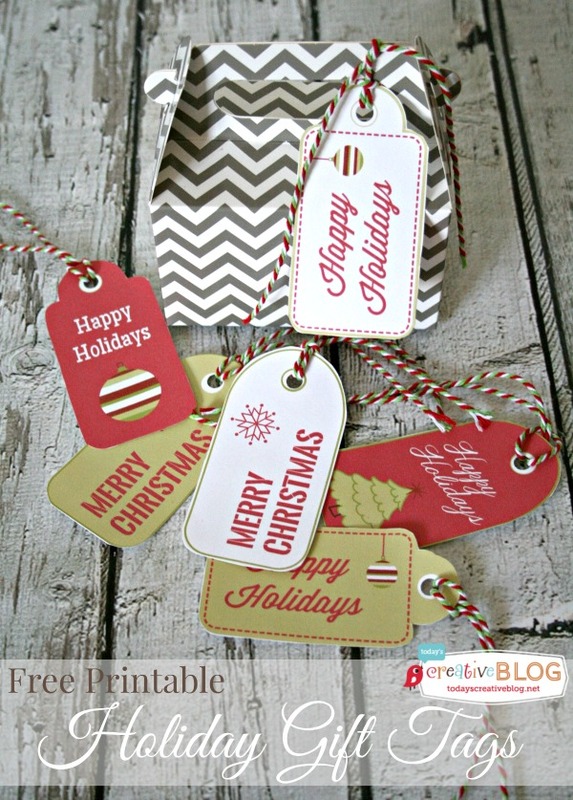 If you’re visiting from Tatertots & Jello for the Printable Holiday Gift Tags, WELCOME! 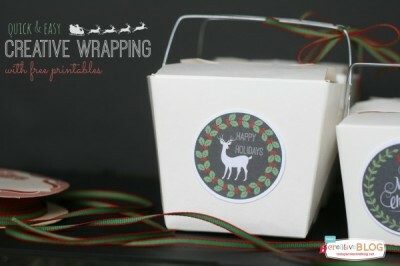 Free printables for easy holiday gift wrapping is always helpful! I was so happy to hang out with Jen, she’s been a good friend for a few years! People either LOVE wrapping presents, or they hate it! I’m somewhere in the middle. I always have grand plans, with a color scheme, then my husband didn’t get the memo and wraps a bunch in other paper. I’m happy he’s wrapping……so now what I’ve done, is removed ALL the wrapping paper I don’t want under the tree. I try to have everything set out in a wrapping station downstairs, so no matter what he grabs, it’s going to look fabulous under the tree. 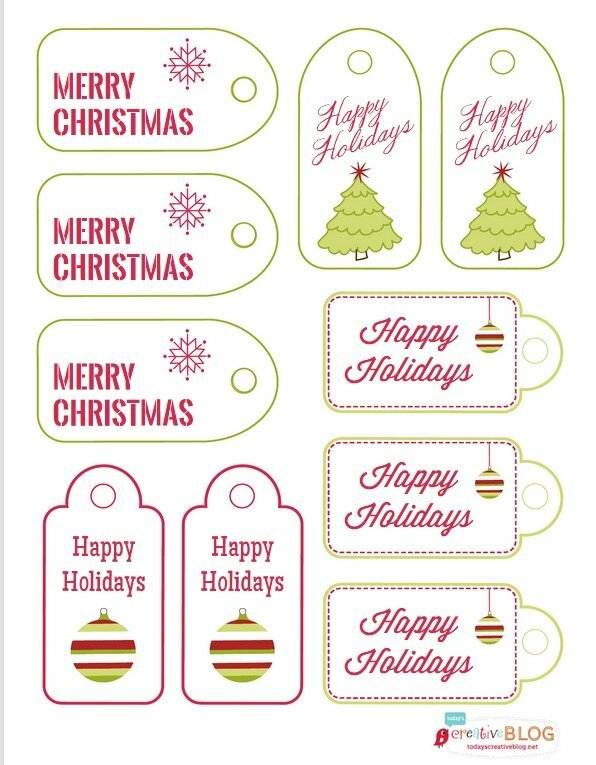 These adorable tags will match so many styles. 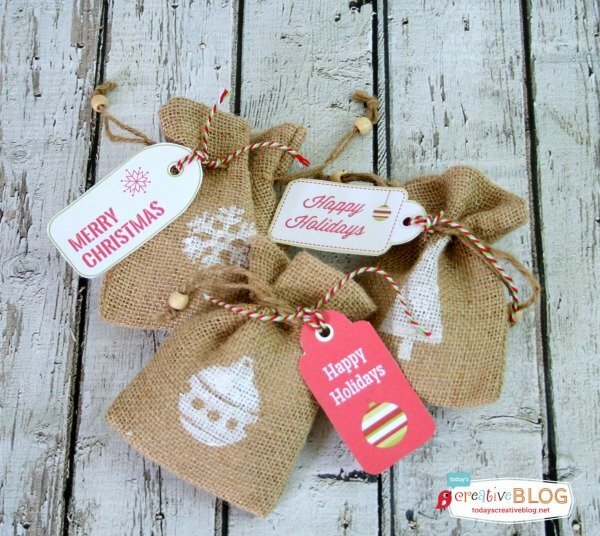 I am loving them, printed on white cardstock and used with the Stamped Burlap Bags. 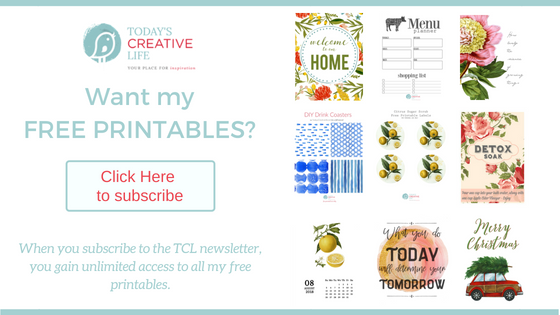 Check out all my printables. 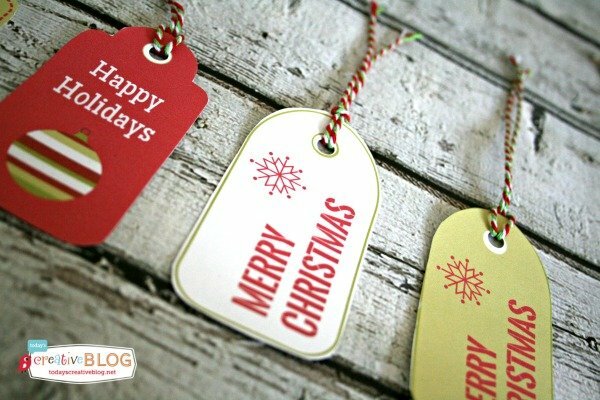 I also have Chalkboard printable gift tags that you’ll love. 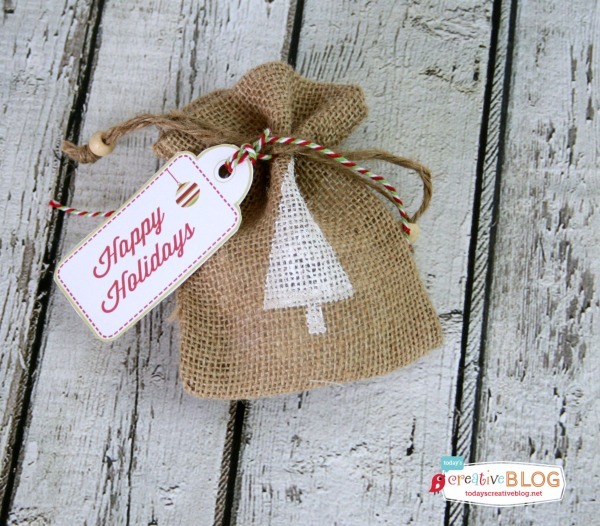 The pop of color against the burlap gives it a festive holiday look, don’t you think? 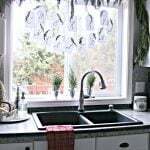 Cardstock – I used white, but I’m thinking Kraft would give them that rustic look. 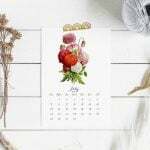 Simply download the design. Open the design up on your computer. 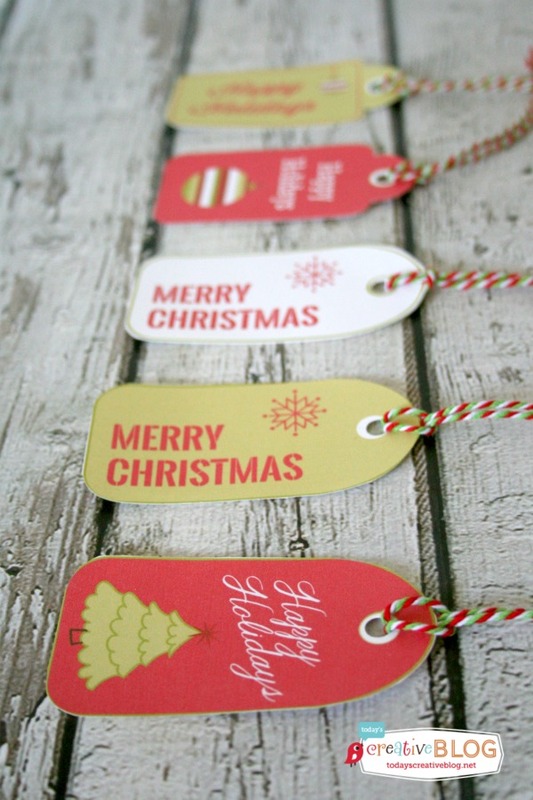 Print, cut labels out with scissors, punch a single hole and thread twine or ribbon through. 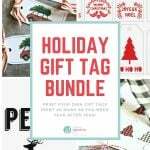 Having printable tags, makes wrapping gifts more personable and fun. 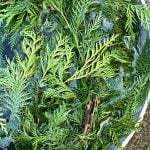 Not to mention EASY! 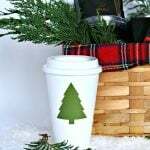 Stock up on cute pillow boxes, gift boxes, burlap bags, cotton bags etc… for quick gift wrapping ideas. Having a variety of items on hand is key. 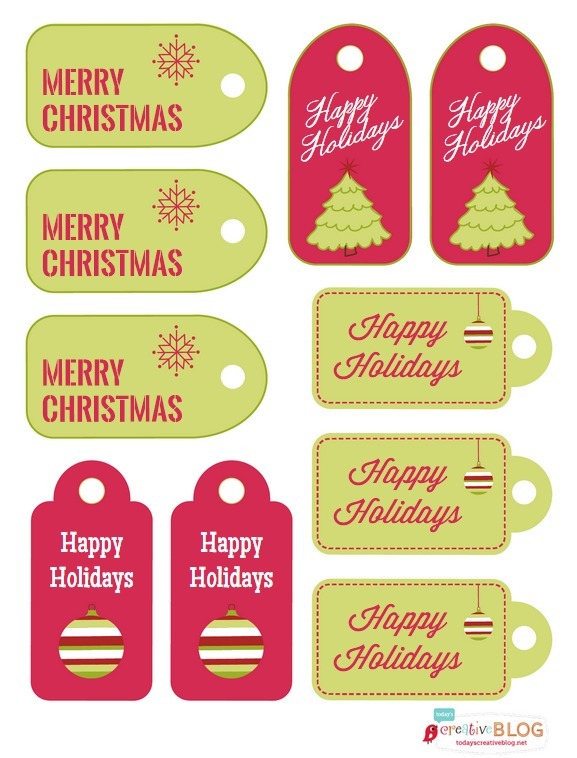 More FREE Printable Christmas tags & labels. 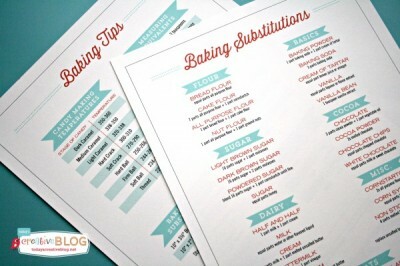 Free Baking Tips & Substitutions Printable. 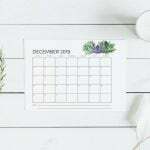 Supply list links are for your convenience, however, they do contain affiliate links.